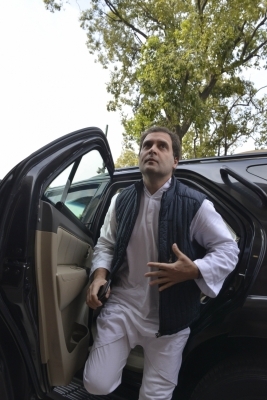 New Delhi Sep 15 (IANS) As a part of his election campaign in Madhya Pradesh Congress President Rahul Gandhi will be visiting the state on Monday. Gandhi will be welcomed by party workers in Bhopal around 1:15 pm. He will also address party workers at the ground at 4 p.m. Polls in Madhya Pradesh are due later this year along with Chhattisgarh Rajasthan and Mizoram.